How would you like to instantly know what the current trend is? How about the quality of that trend? Finding the trend on a chart can be subjective. 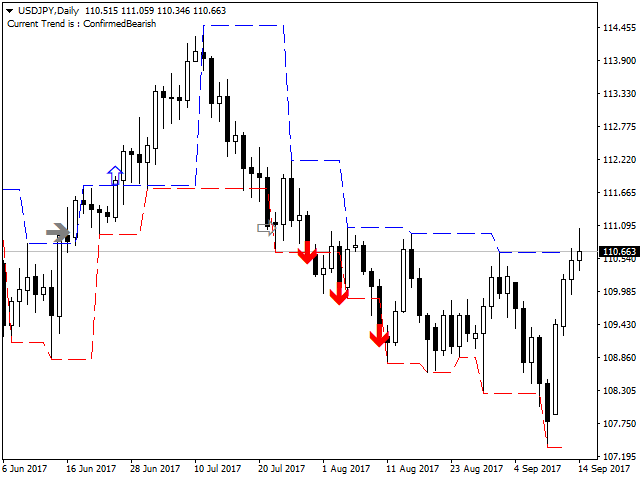 The Fractal Trend Finder indicator examines the chart for you and reveals what the current trend is based on objective criteria. 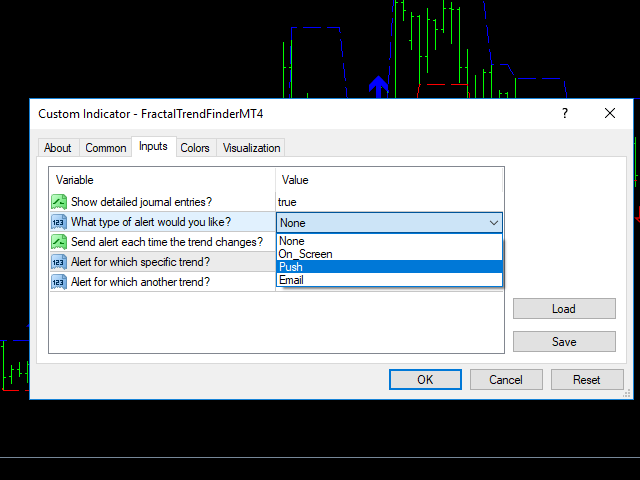 Using the Fractal Trend Finder you can easily tell if you are trading with the trend or against it. It also identifies those times when the market is not trending. Theoretically, you could trade with the trend when the trend is strong and fade the trend when the market is range-bound. A comment is placed in the top left corner of the chart detailing the current trend along with arrows printing on the chart each time the trend changes. This indicator does not repaint. This indicator has three trend types bullish, bearish, and sideways. It also qualifies trends as being confirmed or suspect. With a Confirmed Bullish trend, you can expect the price to go higher. When the trend is Suspect Bullish price may go higher or lower this indicates the market is considered to be range-bound. 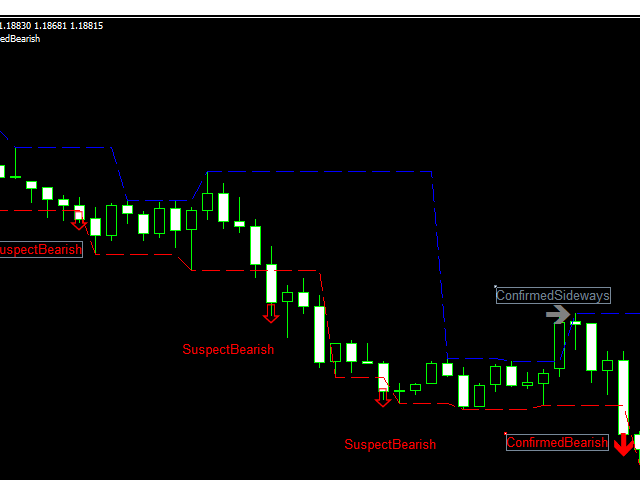 Sideways trends are always range-bound and they can also be confirmed or suspect. With a Confirmed Bearish trend you can expect the price to go lower and if the trend is Suspect Bearish price may go lower or higher but the market is range-bound. In general, the market is only trending 15 to 30 percent of the time. Show detailed journal entries? - choosing true turns prints out details in the Experts tab. What type of alert would you like? - options are None, On Screen, Push, or Email. Send alert each time the trend changes? 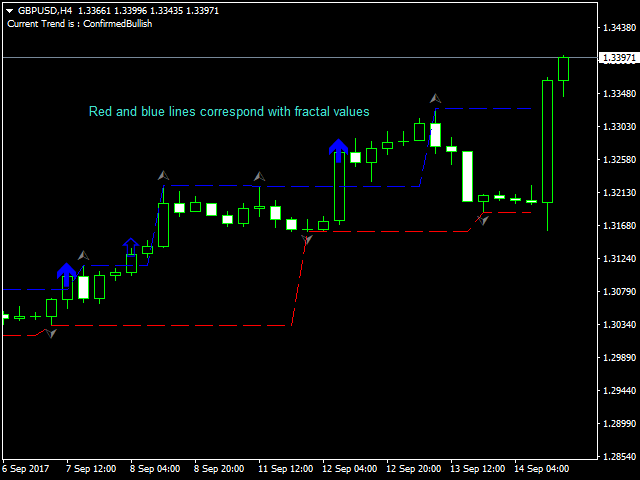 - true turns trend change alerts on, false turns them off. Alert for which specific trend? - allows you to choose from a drop down list which trend type you would like to be alerted to. Alert for which another trend? 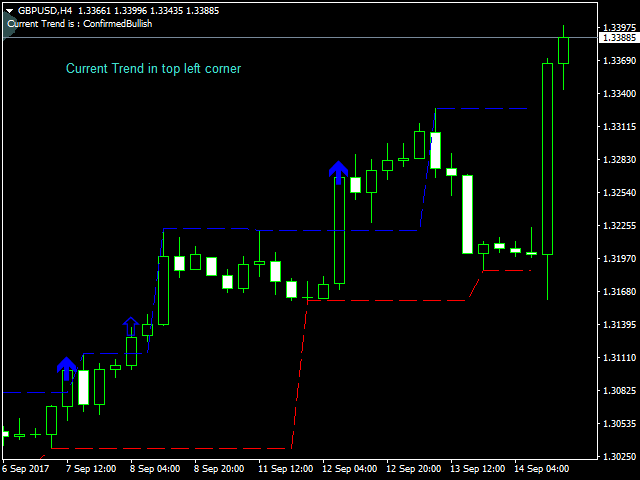 - allows you to select an additional trend type. 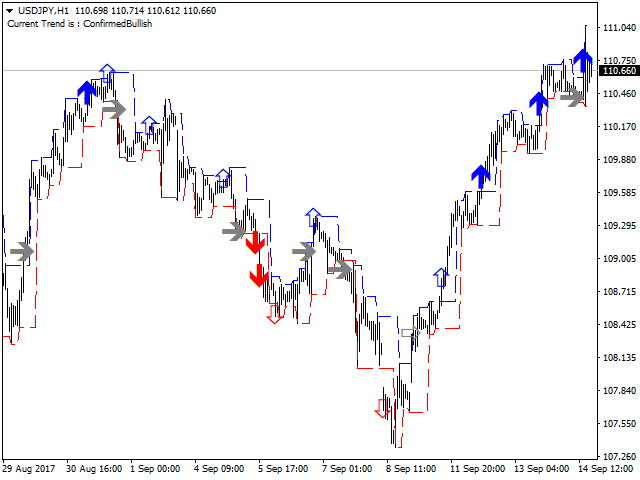 How does Fractal Trend Finder work? See more info on my blog post at https://www.mql5.com/en/blogs/post/707351. Signals on CLOSE of a bar. Works in ALL time frames. Can be used for Expert Advisors. Implements on screen, email, or push notification.